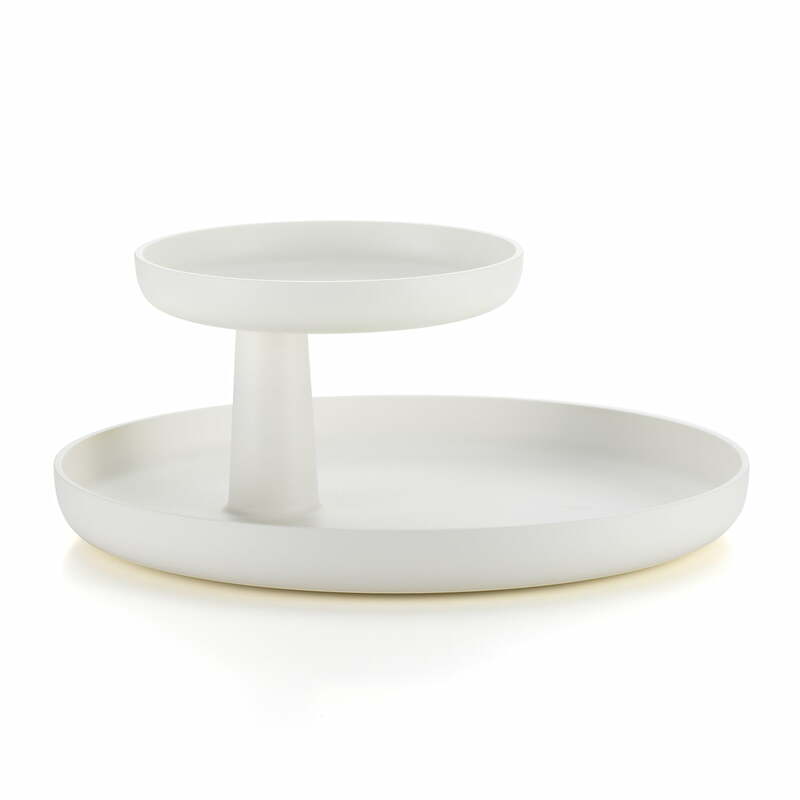 For the little things in our everyday life, Vitra presents a friendly helper: the Rotary Tray. 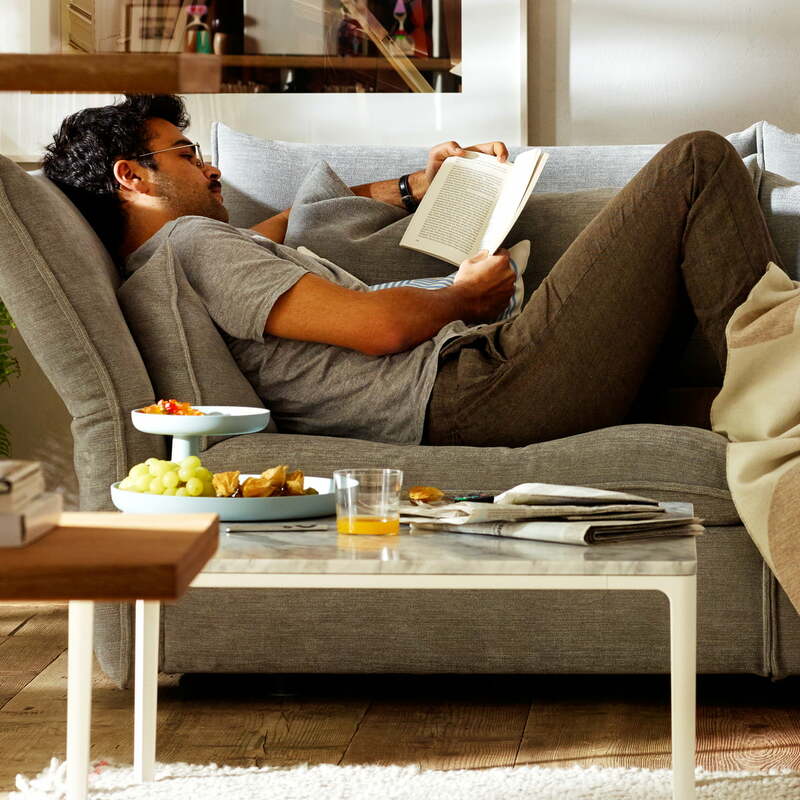 This "shelf" with a modern twist was created by Jasper Morrison. 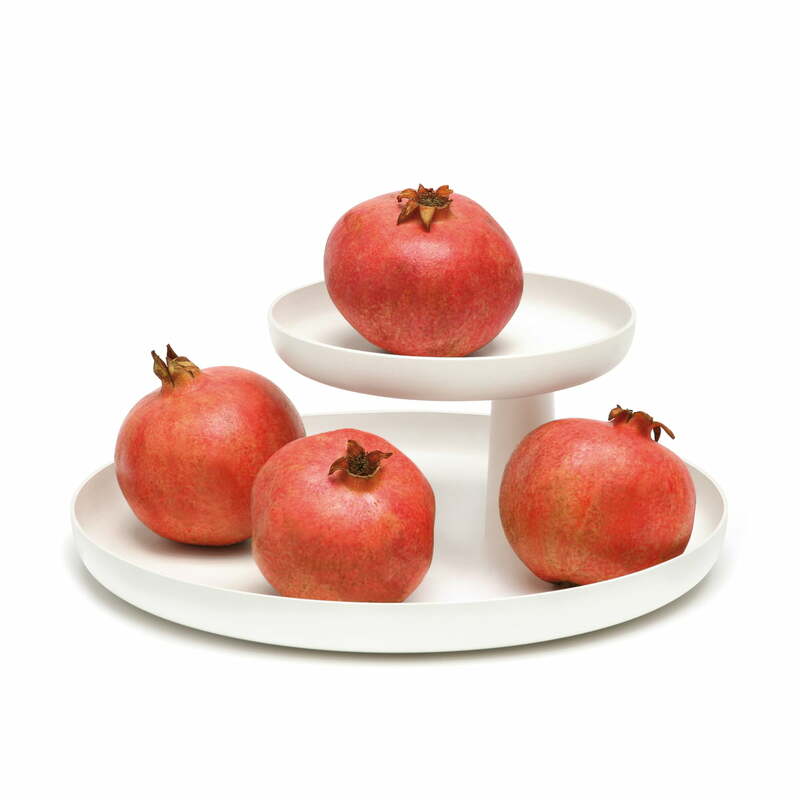 With the Vitra Rotary Tray, the British star designer Jasper Morrison gives the classic shelf a contemporary form. The soft, modest shapes and colours blend harmonically in different interior styles, while the Rotary Tray is refreshingly modern. 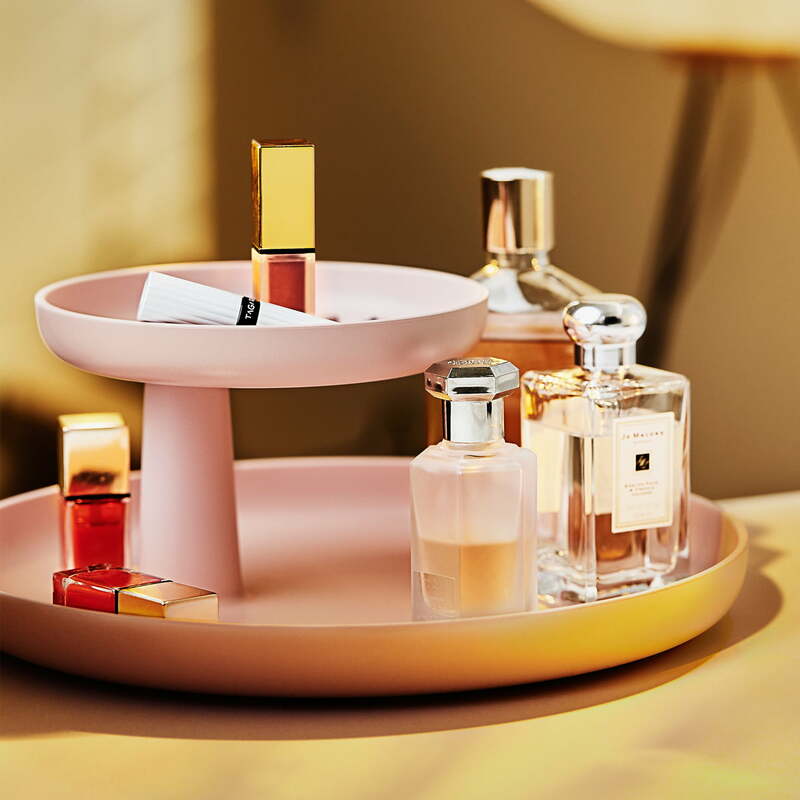 The Rotary Tray by Vitra is an ideal place to store fruit or sweets on the table, for purses, mobile phones or keys in the bedroom or beside the wardrobe. 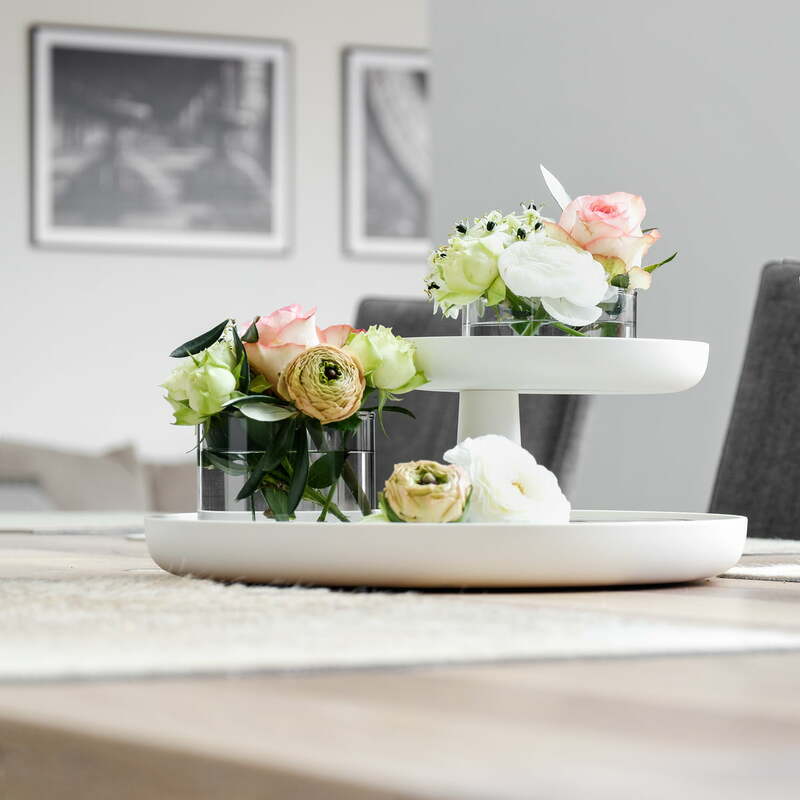 The tray decoratively organises your home. 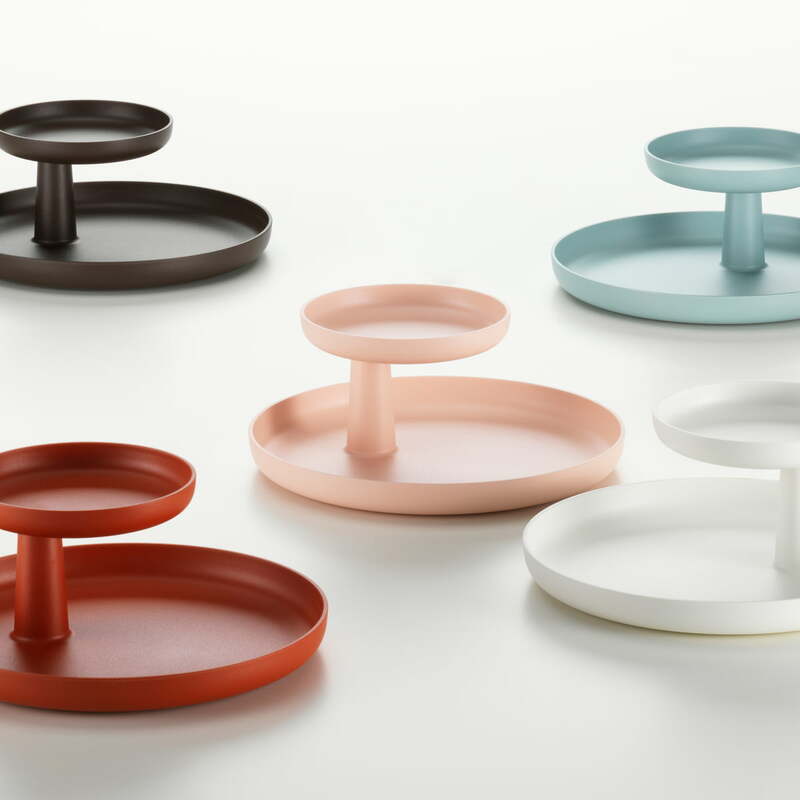 Vitra produces the Rotary Tray out of textured ASA plastic in 5 different colours. The top tray is rotatable. 7 of 7 customers have found this review helpful. Beautiful pink colour and sturdy construction with rubber feet at the bottom to prevent slipping. The Rotary Tray from Vitra is of friendly help regarding all small bits and bobs: The tiered tray with modern design was created by Jasper Morrison. The picutre was provided by MXLiving. 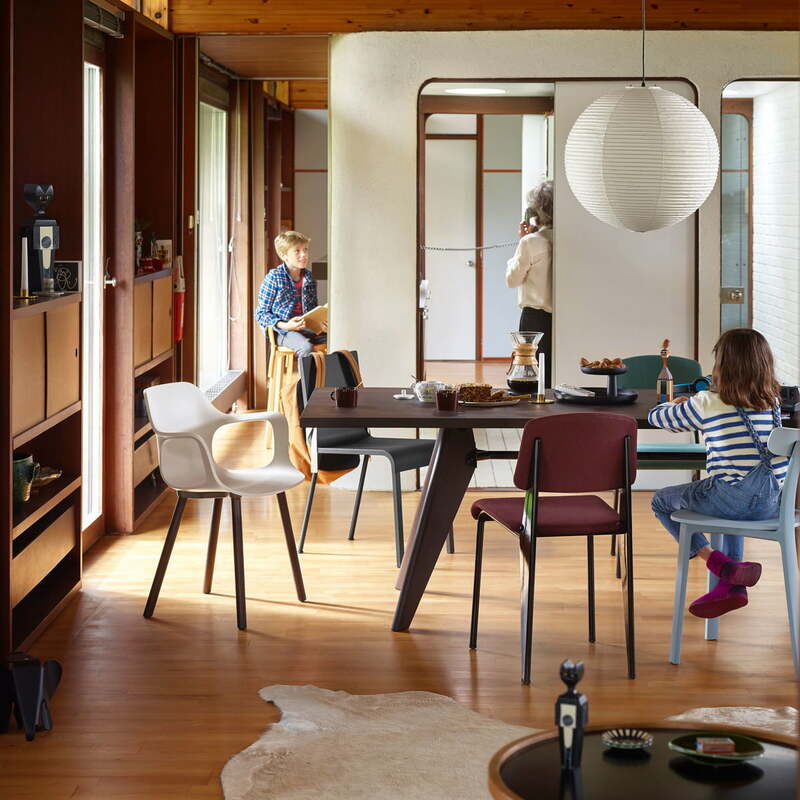 The modern dining area has been equipped with Vitra furniture. The spacious Solvay dining table offers enough space for many chairs, for example the All Plastic Chair. The Rotary Tray of Vitra in zartrosé in the ambience view. Lipsticks and perfume bottles are beautifully displayed in the bathroom on the two-storey shelf.